While women are making huge gains in the business world, barriers to equality remain. Men still get paid about 25% more than their female peers, and research shows that women hold only 10% of top executive positions at American companies. That ratio seems unlikely to change anytime soon, as a separate study revealed that women only make up 10% of the candidate pool for top leadership positions of America’s large companies. Fed up with these issues, an estimated 13 million women are considering quitting their corporate jobs and starting a business themselves. The top reasons cited for this decision are the corporate glass ceiling, pay disparity, and workplace discrimination. 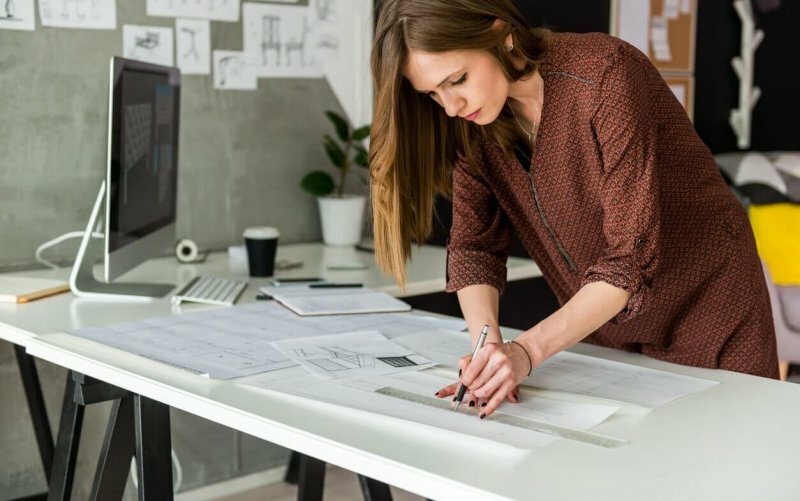 Thumbtack conducted a study in honor of International Women’s Day and Women’s History Month that revealed additional insights into this migration of women from the corporate world into more entrepreneurial pursuits. The female entrepreneurs who participated in the survey were based in 47 states and the District of Columbia. But it’s not all peaches and cream. Nearly half of those women working in male-dominated industries (identified as such when fewer than 2-in-5 respondents were female) have had their expertise questioned on the job due to gender. In case you’re wondering, only 5% of men reported having this occur. And 38% of women said gender can make it harder to win new clients. “At the end of the day I have to prove myself because I am a woman compared to a man who is automatically trusted even if they have no experience,” said one respondent. Nonetheless, women who run their own businesses report high career satisfaction. More than 90% say they’re proud to run their own small business, 86% say they’re happy in their current job, and 83% say they’re satisfied in their career. If those numbers seem high, it’s because they are. A survey of the broader American workforce found that only 51% of respondents were satisfied with their jobs. These sentiments jive with research from Conferences for Women that revealed how much women benefit from attending networking events. For example, after attending at least one event, women reported that they doubled their likelihood for a promotion at work. And 78% of respondents felt more optimistic about the future of their career. The good news is that networking opportunities for women are on the rise. In addition to local, regional, and national groups, corporations are getting involved. Facebook has its Community Finder tool, part of the company’s #SheMeansBusiness program. They also host “Open Door” events and workshops. Apple holds Entrepreneur Camps designed to support businesses led by women. The Bank of America Institute for Women’s Entrepreneurship provides content from Cornell University faculty. These opportunities are crucial when it comes to combating the long-standing discrimination women have faced in business. As history has proven over and over again, the only way for things to change is for people to change the way they’re doing those things. Women are certainly doing their part to rewrite the rules that have traditionally held them back in business. According to Thumbtack’s data, the number of women-owned businesses is higher than it’s ever been. And many of those businesses are in traditionally male-dominated industries. Research like this proves women are claiming a growing share of the labor market and making a bigger impact than ever before.